How do you foster more fun and creativity in your relationship? How do you change things up when they get boring? How do you keep them from getting boring in the first place? 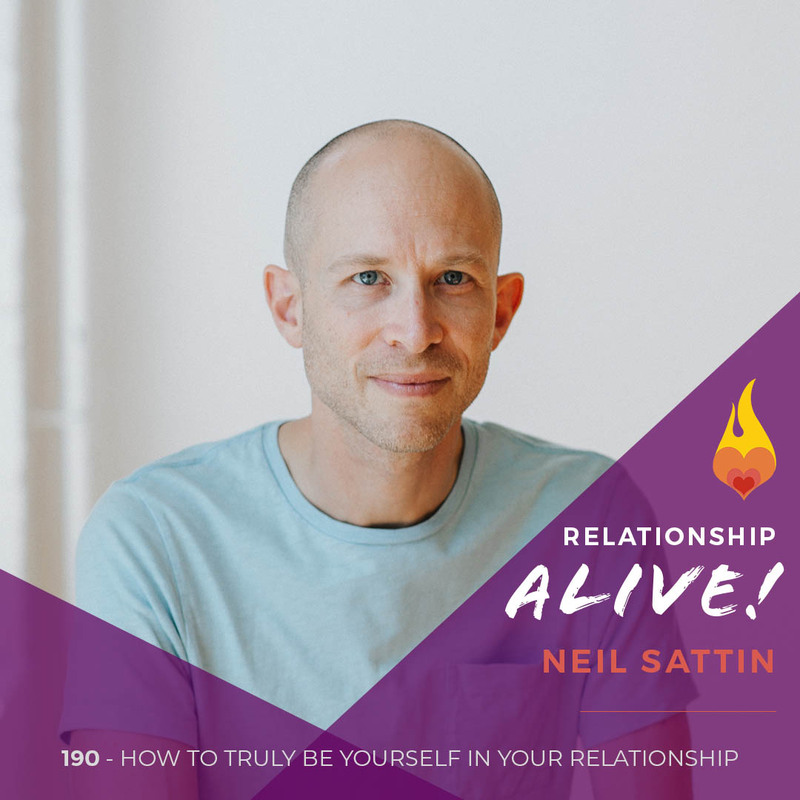 How do you bring your authenticity into the “fun”? 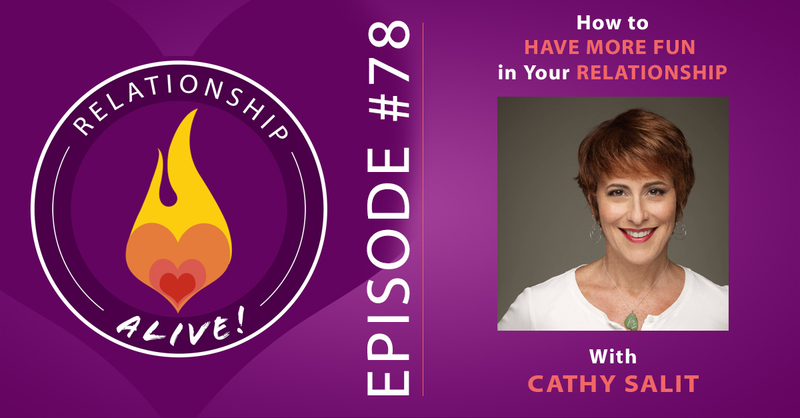 In today’s episode, we’re chatting with Cathy Salit, author of Performance Breakthrough and one of the world’s experts on how to use improvisation for personal development. Her expertise offers answers to these very questions – so…on with the fun! Are you finding ways to engage with curiosity? We are constantly in relation with what the world brings to us. By bringing the concept of improvisation into our lives, we begin to see all the possibilities and potential scenarios that each new moment offers. We shift from a stuck pattern of habitual response, into a place of curiosity and (sometimes) humor. We can even learn to delight in the fact that we are performers capable of changing the scene and scenario in new and surprising ways! We are all natural born performers: We are all natural born performers; just watch children as they play, imagine, create, and experiment. 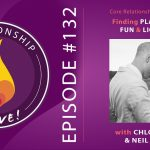 We lose consciousness of our capacity to play as we age, however we can reconnect and reinitiate this capacity as adults in ways that allow us to grow and to stretch. Choose authentic play. Put yourself in spaces that cultivate this young and open energy, remembering that we are not only built to play, but we are built through play. Carve out places in your life and in your relationship dedicated to improvisation; create safe places in which it is healthy to be messy. We contain multitudes. Living into this concept of ourselves as performers we begin to connect with multiple versions of ourselves. Not in a disjointed or splitting way, but rather in a full of possibilities way. Inside each of us, and inside each interaction, is the potential for MANY different outcomes. See how many ways you can respond differently from your habitual script. Expand your own expression and vocabulary of your authentic humanness. You are not set in stone, you are not programmed or trapped, instead you are full of surprises! 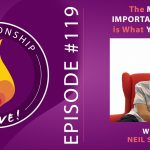 Living into this belief can have profound impacts on your love life, allowing you to feel more confident and connected. The Becoming principle: The becoming principle is based on Salit’s idea that “we are not just who we are – we are who we are and who we are not yet, meaning who we are becoming.” When we improvise and perform in ways we have not done before, we begin to explore and discover new internal territory. We expand ourselves into new ways of being, and learn about parts of ourselves that we do not yet know exist! 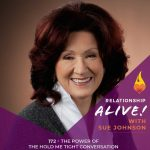 By getting outside of our habitual ways of reacting and being in relationship and in the world, we free ourselves to imagine AND become more than we thought we were or could be. When it comes to dating… Is the process of dating becoming tedious, or daunting? Try choosing a new way to perform. Is it possible to try on the role of someone who is really interested in getting to know lots of people? This internal shift alone may make you focus on qualities of the experience that actually make it true for you. Play around with how you interact with challenges, looking more for the opportunities they provide than the struggle. How would someone else do this? What if you see your relationship as if it were an ensemble? Each person has their strengths, their weaknesses, and together you can build off of these. Be playful together- when situations or issues arise, especially the ones that you have repeated over and over again, begin to ask each other ‘what else can we do?’ What can we try in order to be able to change some aspect of this scene?’ What might someone else do or say in this situation? How can we experiment in this moment? Try it on. Sing your complaints! Speak in accents. Make your woes an opera. Laugh at yourself. Repeat the scene as if it was a melodrama. Obviously this level of playfulness is not always appropriate, however it is helpful WAY MORE than it is harmful. Any shift from the predictable stuckness will open the door for the entire gestalt to change. 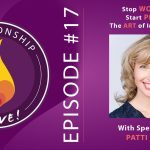 The energy between you and your partner, and the tone of the conversation will transform in a way that often gives both of you a chance to look at yourself and the ‘scene’ with more of a distance and more of an ability to find a new perspective. Role play: Another way to perform is to act as if you are your partner. Try them on. Get inside their point of view in order to learn more about your partner’s experience, as well as perhaps more about yourself as you begin to see your own actions and behaviors through their lens. Experience yourself through the way your partner portrays you. Role playing also gives you a great opportunity to educate your partner if you notice that their portrayal of you is off. These types of activities are critical as they help us examine and explore the HOWS of our interactions, versus the WHATS of our interactions, thus allowing us to see more clearly the hidden beliefs, habits, and needs that are constantly influencing communication and connection. Create with Crap: So much of what we deal with in our day to day is far from roses and rainbows, and it takes courage and creativity to sustain our energy. ‘Creating with crap’ is the idea that we try to find creative and new ways to address old problems so as not to be demoralized, depressed, angry, or humiliated by it. We need to find ways to let the light in. For example, instead of focusing and ruminating on the fact that your partner is always late, make a new rule that for every time they are late you are going to dance together for 5 minutes. Find little gestures that invite magic in, and help turn painful moments into moments for connection. Applaud mistakes! It is key to create a culture in your relationship that encourages mistake making. Enormous growth occurs when mistakes and messiness are welcomed and applauded. We are human and we constantly make mistakes. The question is, how can we grow from this? How can the relationship grow from this? Sometimes it can be very helpful, and empowering, for one of you to turn to your partner and say ‘well, that went really badly- that was a mistake and I didn’t do that as well as I could have’. Make a mistake, and then take a bow! If your partner takes responsibility and owns their mistake, then applaud them! Make this the rule. By celebrating mistakes and vulnerability you move the relationship out of a dangerous shame and blame paradigm, and into a collaborative place in which together you can figure out how you could have changed the scene, thus reinforcing the container of the relationship, rather than degrading it one mistake at a time. Yes, and! The day to day of partnership can become pretty mundane and quotidian, we all know it. In improvisation there is a fundamental rule in which each person listens with an openness and responds with “yes, and…” to everyone and everything that is presented with them. This rule is the key to creativity and connection both on and off the stage. Bring this attitude and practice into your relationship. Tune into what your partner is offering to you in every moment. In addition to this changing the nature and culture of your conversations (especially during disagreements), you will end up going places you would not have gone otherwise. By saying “yes, but…” you stay stuck. Some people feel temporarily more safe when they say ‘no’ and stick with what they already know/what is certain, however in time this actually becomes more dangerous. Choosing to be vulnerable, and taking risks, allows your relationship to grow, to develop, and to repair in ways that are essential for its integrity. 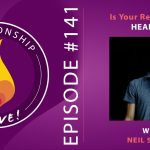 https://www.neilsattin.com/performance Visit to download the show guide, or text “PASSION” to 33444 and follow the instructions to download the show guide to this episode with Cathy Salit – and qualify for the book giveaway!